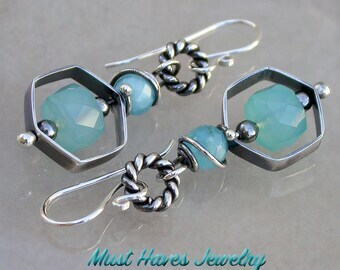 Wire wrapped silver dangle earrings, with aqua boro artisan lampwork (12mm x9 mm size). 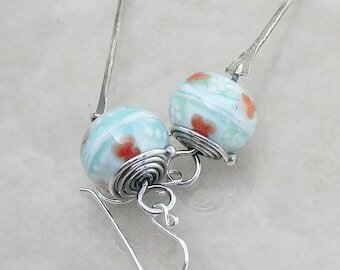 The lampwork was created by Bluhealer . 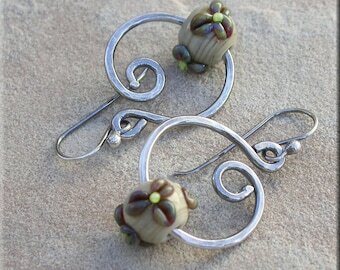 I made these fun earrings with silver that I shaped, oxidized and polished. 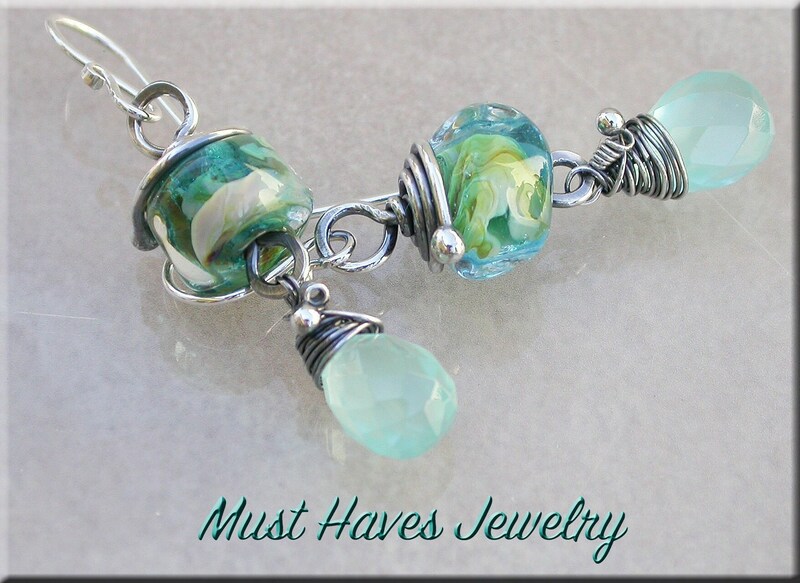 I added a pretty aqua quartz teardrop dangle. 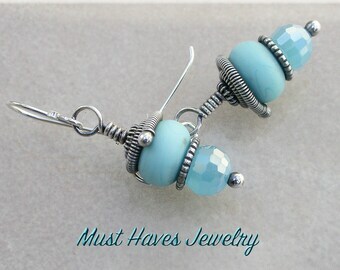 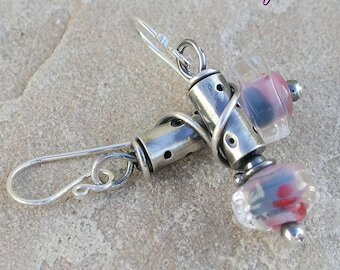 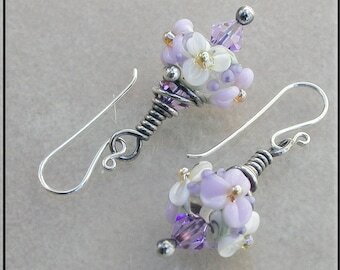 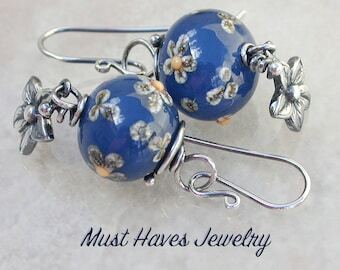 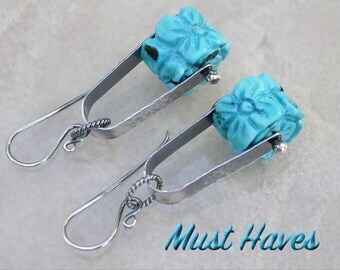 The earrings are 1 7/8 " long and have a fun swing to them! 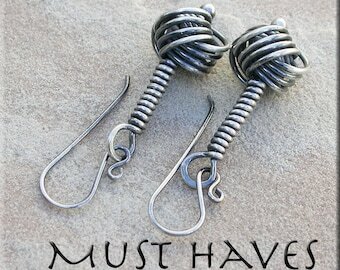 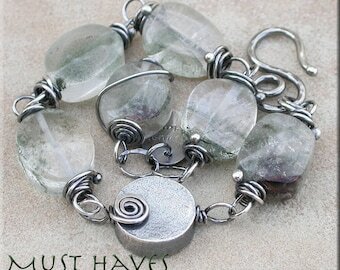 The ear wires I create out of 20ga sterling silver which are easy to wear.